The Goldman Sachs Senate hearing on commodities got nasty yesterday, The New York Times reported. “What’s the point? Maybe you can help me out here,” the Times quoted a frustrated Senator McCain (R-Arizona) as saying to a panel of Goldman executives. It was the first of a 2-day hearing over the bank’s sway in the commodities market. 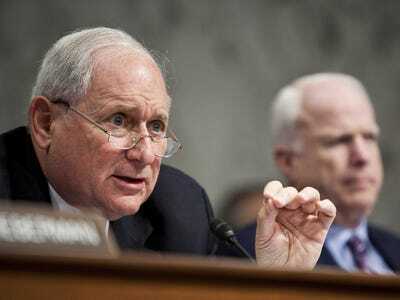 The Senate’s Permanent Subcommittee on Investigations claims that Goldman has been able to drive certain commodities prices higher through its ownership of Colombian coal mines, Detroit aluminium warehouses, and a London-based uranium trading firm. Goldman says it doesn’t impact the market, and that it should be able to keep these holdings. Other banks, including JP Morgan Chase and Morgan Stanley, have faced similar allegations and have pledged to cut down their commodities assets. At the hearing, shots were fired. Senators got sassy. At one point, Senator McCain responded to Goldman executives with a sarcastic “Remarkable,” the Times reported. What is obvious, according to the Senators, is that bank regulation dating back to the 1950s prevented banks from owning physical commodities. However, a combination of deregulation in the 1990s, and the chaos of asset purchases after the financial crisis landed some of these commodities on bank balance sheets. Now regulators and legislators alike are trying to go back to something more like the way things were. And their worry isn’t just price manipulation. The Senate report on Goldman says that the bank was holding commodities valued at 12% of their Tier 1 capital. McCain and Levin wrote that they feared a disaster — a BP-sized oil spill, for example — could blow a massive hole in a systemically important bank’s balance sheet. Here‘s the subcommittee’s 400-page report on how Goldman artificially boosted the price of aluminium.